You can return to our exotic garden plants page or browse the pictures using the next and previous links. Extaordinary leaf markings. They are beautiful. Love the design. Isn't nature wonderful. Caladiums are one of my all-time favourite foliage plants - they grow so well over here and there's such a variety of colours and patterns. This photo is of species Caladium. 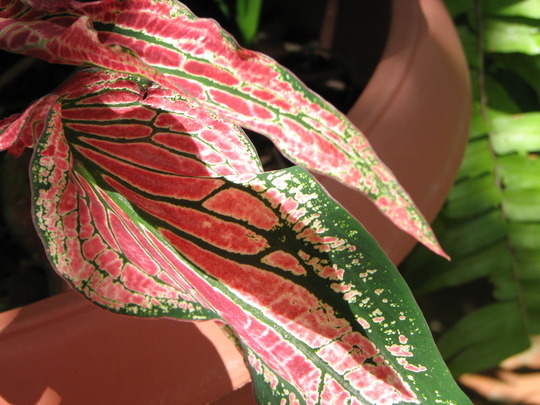 See who else has plants in genus Caladium.